Fits specific Whirlpool Manufactured Microwave Models. This is a Microwave Glass Tray. 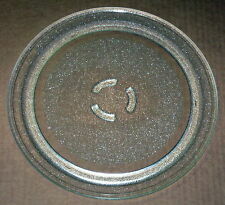 Product TypeGlass tray Plate. Whirlpool Factory Part. OEM Genuine Parts. 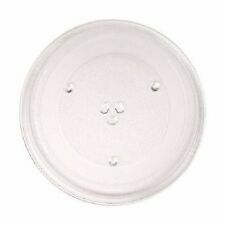 Microwave Turntable Glass Plate Designed to Fit Many Different Models. Coupling Fixture: Trilobe. Roller Ring Roller Width: 1/4 ". It's compatible with various Frigidaire oven range hoods, countertop microwave ovens and over the range microwave ovens. 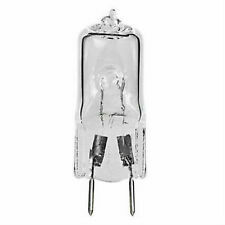 New light bulb for Whirlpool microwave, 8206232A. These items are brand new. They were bought directly from an LG distributor. They will ship via insured Priority Mail, so you can expect to get them within 2-3 business days after shipping. 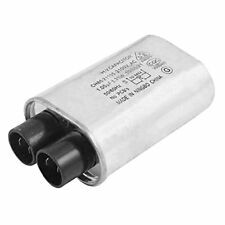 The LG 6324W1A001H is a microwave oven magnetron, this is a critical component of your microwave oven. This item produces electromagnetic waves that resonate energy within your appliance. 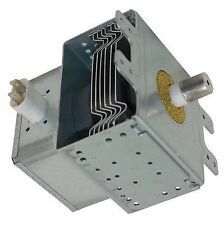 Whether you are replacing an existing part or building your own microwave you will need a magnetron component. From the Manufacturer ---LG 6324W1A001L Microwave Oven Magnetron. EXP20A Microwave Ceramic Line Fuse, Fast Blow, 20A, 250V Replaces 14QBP20CFB. LG 6324W1A001H Microwave Oven Magnetron. Refer to your manual to ensure ordering the correct, compatible part. LG 6324W1A001H Microwave Oven Magnetron. 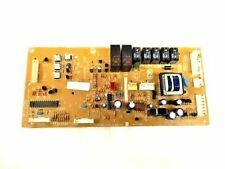 For use with the following LG Electronics models: MC1043ACSL, LMH1017CVST, MC156SJ, LMH1517CVST. 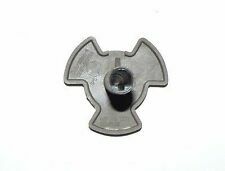 Choose from general and special purpose snap-action, tactile key, miniature, sub-miniature, thumbwheel, and DIP. Overview: The D3V-16G-3C25 snap-action switch from Omron makes opening or closing your circuit a fast operation. EXCLUDE WEEKENDS . Product Details. 5 out of 5 stars - Genuine Whirlpool Maytag Amana Glass Tray W10531726 AP5805328 PS8769984 14-1/4"
7 product ratings7 product ratings - Genuine Whirlpool Maytag Amana Glass Tray W10531726 AP5805328 PS8769984 14-1/4"
New black microwave door handle for General Electric, WB15X10065. Kenmore / Sears 40180082700 MICROWAVE. Kenmore / Sears 40180083700 MICROWAVE. Kenmore / Sears 40180084700 MICROWAVE. Kenmore / Sears 40180086700 MICROWAVE. Kenmore / Sears 40180089700 MICROWAVE. Kenmore / Sears 40185052010 MICROWAVE HOOD COMBO. This is not a Whirlpool OEM product and is not covered under anyWhirlpool manufacturer's warranty. Rush orders available. (1 Filter). G.E. (General Electric) Item # WB39X10032 / WB49X10002. Frigidaire Item # 5304423399 / 5304464116. Fits all series of the following Frigidaire Microwave Oven models Fits the following Whirlpool and Kitchen Aid models. EXPMS33 Microwave door switches set. Switch # 1 (Normally Closed) Replaces:WB24X10075, WB24X800, WB24X830, WB24X0830, WB24X817, WB24X10112,FFSBA016 (No Fuse Included), 00606695, 5304408937. Switch # 2 (Normally open) Replaces:3B3362F, WB24X816, 6600W1K003C, QSWMA085WRE0, WB24X829, WB24X10180, 00606693, 00633795, WB23X10019, 241201600929, 5304408938. Part number: WB26X10038. High Quality ETL/CSA/CE/NSF/FCC - We passed every evaluation of pool products, even ASTM which for pool alarm in USA laboratory. 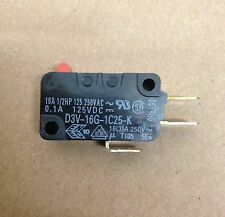 This is KSD1 / 150 Thermal Fuse for Panasonic Inverter Microwave Oven. Designed to fit perfect for your Appliance. Replaces Part Number WB27X5047. Replaces Part Number WB27X229. Replaces Part Number WB27X255. Model: R651ZS. MFG #: SHARP Daewoo. Item Condition . Ask our technician if you are not sure about compatibility. Product Details. (IMPORTANT NOTE) :There are many versions of the 2M246 magnetron tube -. 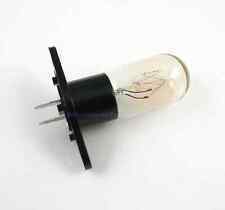 Replaces LG part #s. this tube ONLY replaces type 050 GF. 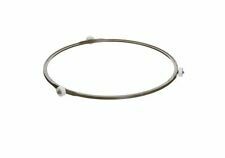 Sale is for TURNTABLE RING ASSEMBLY ONLY. What is seen in the photos is what is included in the sale. Was removed from HB-P100N30AL-S3, but will fit other models as well. GE WB06X10654 COMPATIBLE MICROWAVE ALUMINUM GREASE FILTER. This is not a GE OEM product and is not covered under any GE manufacturer's warranty. Rush orders available. Item Number 5888W2A012A New genuine OEM LG Microwave Rotating Ring. For sale is a used but tested and working replacement microwave turntable motor compatible with GE/Frigidaire microwaves. Each sale includes one motor. These were scrapped out of damaged appliances from an appliance retailer. These motors use a very common form factor, so they might actually work in other brand microwaves that use 120 volt turntable motors and the same mounting scheme. 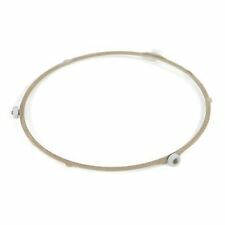 If your turntable sticks, is erratic, or no longer rotates, then this is most likely the part you want to replace. I will ship to anywhere in the US, Canada, or anywhere domestic using USPS priority mail. 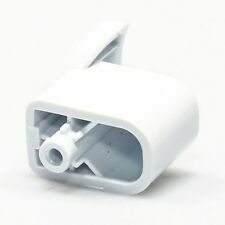 Replaces Frigidaire part number: 5304440335, 5304467774. Charcoal Carbon Pre-Filter for Frigidaire Hood Vents. Includes (2) Carbon Filters as picturedItem Specifications. This is not a Frigidaire OEM product and is not covered under any Frigidaire manufacturer's warranty. D Ring on the Long Side. New Frigidaire microwave micro door relay switch #5304440026. Also works with Frigidaire model FMV156DCC. Overview: The D3V-16G-3C25 snap-action switch from Omron makes opening or closing your circuit a fast operation. This is not a GE OEM product and is not covered under any GE manufacturer's warranty. Pull Tab on the Short Side. Rush orders available. This Filter is 5-7/8" X 13-3/8" X 3/32". Microwave Grease compatible with GE part WB06X10288. It's compatible with various GE and Hotpoint oven range hoods, countertop microwave ovens and over the range microwave ovens. In good used condition everything works. Appliance Type : Microwave. Samsung DE74-20002B TRAY - COOKING GLASS T6.0 NEW ORIGINAL. TRAY - COOKING GLASS T6.0 by Samsung Part Number: DE74-20002B. Whirlpool Factory OEM Part 8206229A for. -MFG Part: 8206229A. Whirlpool Factory Part. This microwave filter removes grease while venting. OEM Genuine Parts. 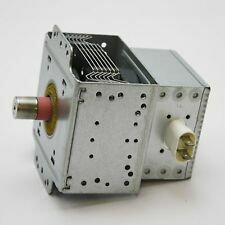 OEM Whirlpool Microwave Turntable Motor 8183954 & Coupler W10435116 / Tested!